In other news: Pressure is on but no resolution at NAFTA; Ontario to create a forestry growth strategy, Ottawa’s urban forest hit by tornadoes; more fires should be left to burn in Oregon; Alaska Roadless Rule receives push back; a US Senator wants to halt payments to environmental groups; and a bill to thin US forests is introduced. Finally, a good news rainforest story from Brazil and understanding the science behind wildfire smoke. We have lived with a bad NAFTA deal for a quarter century. It makes no sense to me to repeat that with a new NAFTA. The next few days will no doubt be tense… After a year of talks, U.S. President Donald Trump says he will send the trade deal his country negotiated with Mexico to Congress for approval — likely on Monday — with or without Canada signing on to create a new NAFTA. …Trump is also threatening to maintain the right to impose tariffs on Canadian goods, such as cars and trucks, whenever he sees fit by claiming a national security issue. As well, he is threatening to keep the tariffs already in place on softwood lumber, steel and aluminum — which have hit hard-working families and their communities across Canada. …These talks are a once-in-a-generation chance to fix a deal that the labour movement rightly warned at the time would hurt working Canadians. Prices typically rise after a natural disaster as demand spikes for building materials, but President Donald Trump’s 20% import tariffs on imported Canadian softwood timber will drive those costs even higher. The price of lumber has jumped 30% nationwide since the beginning of the year. “The experience of our builders and homeowners in and around such an event has almost always been that prices spike on essential building materials but in a very localized area,” says David Logan, the National Association of Homebuilders’ director of tax and trade policy analysis. Plywood and drywall are two building items that will be in high demand for home repairs. Both could face further price spikes if the trade war intensifies. 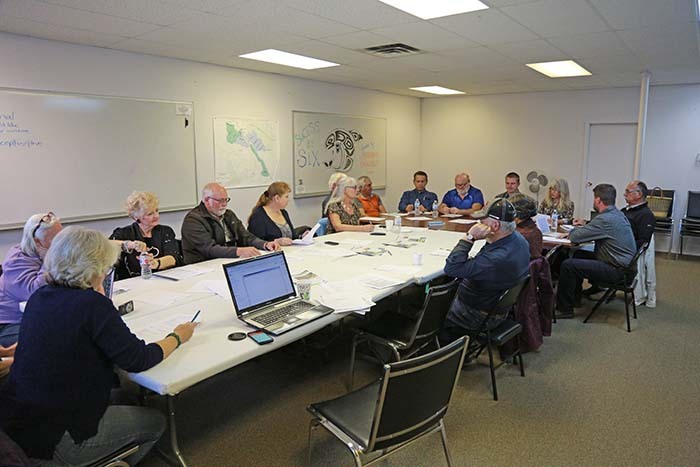 At the Annual General Meeting on Monday night, the Valemount Community Forest (VCF) manager said the Community Forest is considering starting a mill. VCF Manager Craig Pryor said that they have been encouraging small mills to set up in the area, but small market mills don’t have the capital to invest. …Pryor said their recent work on forest inventory will show them what wood is available, providing the information they need to start the operation. Valemount Community Forest Chair Ainslie Jackman said their plan is to diversify the local economy and create jobs. …Jackman said if the community forest can solve the problem of wood waste disposal from the mill it could allow many new ventures like specialty mills and related operations to start. A new major pulp mill might be erected in Russia’s Vologda region. The project had been announced by Sveza years ago but is entering the next stage now. The Russian group of companies Sveza is progressing with its plan to build a new pulp mill in the Russian Vologda region. Machine engineering company Valmet informs that it has signed a memorandum of understanding with the group with the objective of further cooperation in the planned pulp mill project. Sveza is reportedly proceeding with preparations, including environmental permits, for the possible mill. The second edition of the WOODRISE World Congress on mid- and high-rise wood buildings will be held in Canada, in historic Quebec City, from September 30 to October 3, 2019. The event will be presented in partnership with members of the WOODRISE Alliance, in collaboration with national partners. This new edition aims to ensure the continuity of WOODRISE and stimulate the synergy established between international participants, while positioning wood as a leading building material within a sustainable and eco-responsible urban development environment. FPInnovations now launches the woodrise2019.ca website, an information hub that will enable participants or anyone interested in the event to find useful and relevant information about the Congress. The site will be regularly updated to give you a chance to obtain information on workshops offered, the presenters, and the proposed visits. You are invited to refer to it on a regular basis so that you can plan your visit well. The Wood Solutions Conference is dedicated to design and construction with wood products and building systems, including mass timber. This one-day educational event will showcase wood uses in commercial, institutional, industrial and multi-unit residential construction through specifically designed seminar streams, featuring new and current topics and an interactive trade show. A keynote lunchtime speaker and an evening networking reception provide exciting networking opportunities with industry leaders and peers. 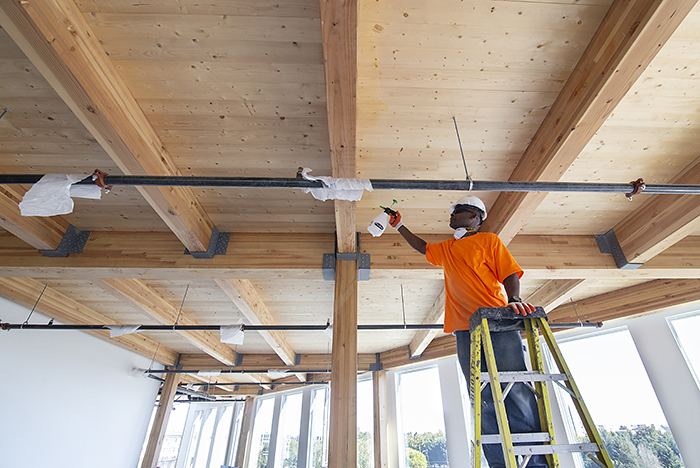 The Wood Solutions Conference is tailored for architects, engineers, builders, contractors, building officials, technologists, planners and developers. The event will showcase architectural and structural innovations and current trends in wood design and building through specifically designed seminar streams. There is an exciting lineup of national and international speakers, an interactive trade show along with many engagement opportunities with industry leaders and product experts.Professional development credits available. New York – Birla Cellulose is focused on sharing the sustainability philosophy behind its home textile fibers during the New York Home Fashions Market. The company produces a variety of home textile fibers including anti-bacterial viscose and stain-resistant fibers and is launching Liva Eco, made of Forest Stewardship Council wood with Higg 3.0 supply chain traceability. Liva Eco is a more sustainable fiber that can be used across numerous applications including bed linens, carpets, bath towels or furnishings. …“Birla cellulose fibers offer a complete cycle for textile products,” said Biyani, going from tree to pulp to fiber to textiles in use to end-of-life management. 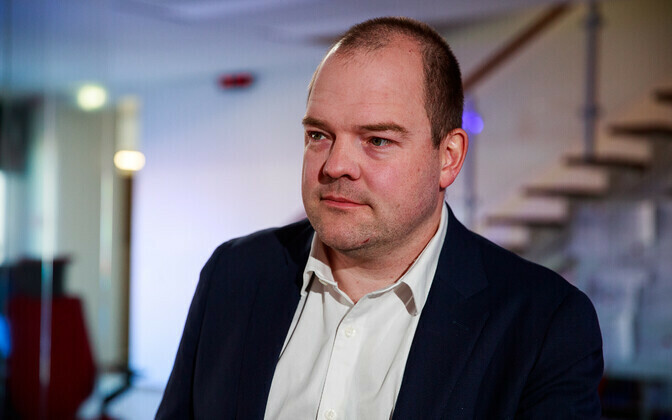 “Consumers are now very keen to be ‘responsible users’ and this is where we are finding an excellent match between market demand and our offering,” he said. The He Tohu Document Centre within the National Library has won the Resene Supreme Award at the NZ Timber Design Awards. “This is the perfect vessel to display the founding documents of Aotearoa,” said the judges. “Highly developed manufacturing technologies are woven together with traditional timber materials, showcasing how timber can deliver technological, social and cultural value in a beautiful way.” This entry also won the Niagara Timber Products’ Interior Innovation category. …The XLam NZ Multi-Storey Timber Building Award is a new category, requiring entrants to submit projects at least three stories high. This was won by Te Pa Tauira-Otago Polytechnic Student Village in Dunedin. It was the first five-storey all-timber building in the country, with judges hoping it will help to positively shape the attitude of a new generation towards timber. A new survey published by Soil Association Certification has identified ‘significant opportunities’ for organic businesses looking to utilise more card and paper-based packaging. 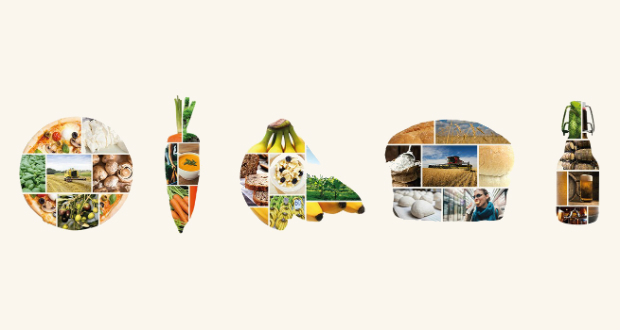 The survey results… follow research published in June that revealed the overwhelming majority (67%) of shoppers expect organic to be packaged in a more environmentally friendly way than non-organic. …Despite the positivity surrounding the potential uses of sustainable card and paper, 50% of businesses surveyed don’t use or plan to increase their use of paper or cardboard, citing various issues including shelf life and food safety for certain products like meat and liquids. Kevin Jones, head of forestry for Soil Association Certification, believes this represents a missed opportunity for producers. Baldy Mountain Resort near Oliver, B.C., says the surrounding forest is prone to a large scale, catastrophic wildfire. “It is imminent; it’s a matter of time,” said general manager Andy Foster. “It’s been since the 1930s that a fire last moved through this area.” …The resort received a $200,000 grant through the Forest Enhancement Society of B.C. to build a 350- to 400-metre-wide fuel break on crown land. “By doing the treatments we’re doing here, we’re opening up that canopy and reducing the amount of forest fuel that’s in there,” said David Conly, the society’s operations manager. 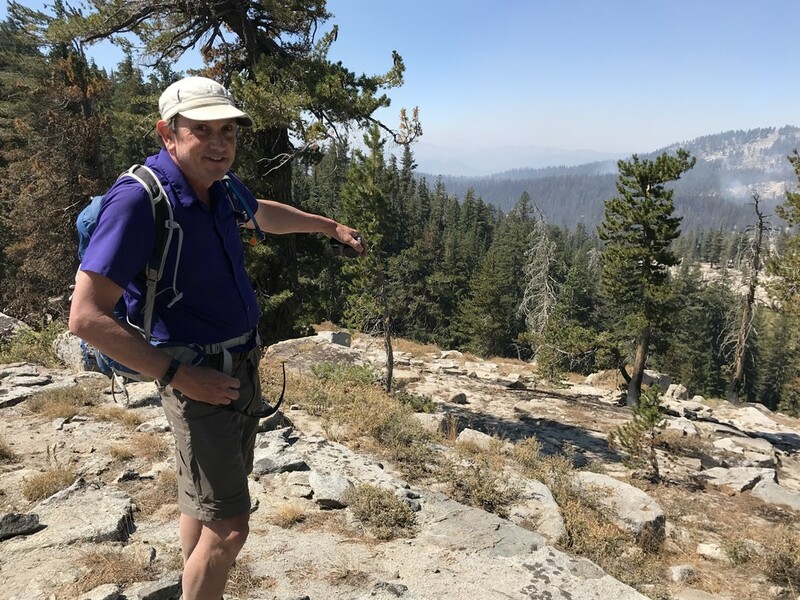 Wildfire management specialist John Davies was hired to increase the space between trees and decrease surface fuel on the forest floor. “If a fire was approaching, there’d be an opportunity for lots of suppression tactics that could occur within this area,” he said. 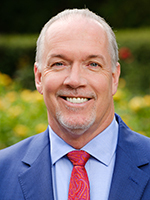 The Union Of British Columbia Municipalities recently passed two resolutions at their Annual General Meeting calling on the provincial government to place stronger regulations on private land logging. The resolutions call on the provincial government to amend the Private Managed Forest Land Act to bring it in line with regulations and forestry practices on crown land. “The Regional District of the Central Kootenay and community groups have worked long and hard on infrastructure in the region,” says Ramona Faust, Regional Director for Electoral Area E. “We have heard a lot of community feedback that it’s not rational that large-scale logging should have two standards of care in the province.” Unlike forestry on public land, private managed forests companies are not required to manage the land for the long term, so they can strip the land of its forest. In Friday’s paper we pay tribute to National Forest Week, Sept. 23 to 29, recognizing some of the efforts of local people, companies and organizations. 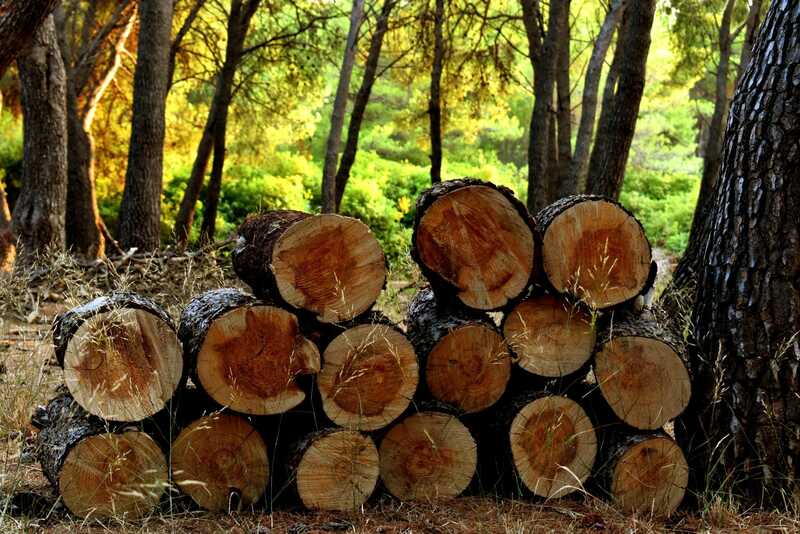 As one of the main industries in our region, forestry continues to face challenges. Whether it is wildfires, mountain pine beetle, Douglas-fir beetle or dwindling timber supplies, the industry is forced to adapt. Most of us live near areas impacted by the 2017 wildfires, and beetle epidemics, and are watching with interest how the forests will rejuvenate themselves over time. …There’s nothing like a good walk amidst the trees to calm the spirit and remind us how fortunate we are and the importance of being good stewards of our forests. Here’s to National Forest Week. May we never lose sight of the forest for the trees. Prince George, BC – The BC Council of Forest Industries (COFI) is pleased to announce the recipients of the COFI’s 2018 Forestry Scholarships in celebration of the future of forestry during National Forest Week taking place across the country from September 23-29. “National Forest Week is an opportunity to recognize the 1 in 17 British Columbian workers whose jobs are supported by this valuable and renewable resource in all regions of the province,” said Susan Yurkovich, COFI President and CEO. “This is an industry with a strong history and bright future. 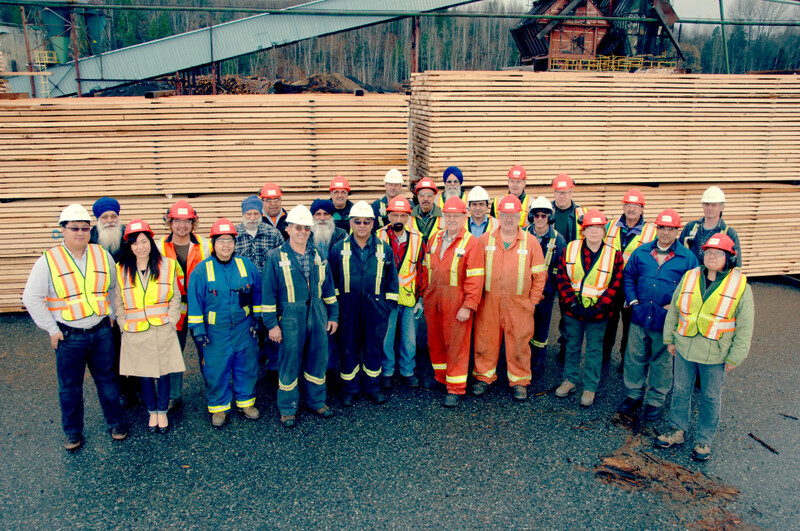 Forestry generates 140,000 total jobs in B.C. while leading the world in sustainable forestry practices. We are proud to support the next generation in continuing their education in forestry and advancing further research and innovation.” COFI congratulates the 10 recipients of the 2018 Forestry Scholarship. During the May 2017 election, Stephen McNeil promised to have an independent review of forest practices in Nova Scotia. …So in August 2017, William Lahey of King’s College was appointed to carry out an independent review of forest practices. …This report is impressive particularly for its extensive analysis of the means by which DNR carries out the pre-treatment assessments that decide the type of harvest on Crown lands and its recommendations for restructuring the relationship between government and the forestry industry. …Now that the review is out, does it present solutions to the concerns that led to it? …I sincerely hope that the Department of Lands and Forestry follows these recommendations. However, the many values of uncut forests need to be recognized before it is too late and we have no forests except in parks and protected areas. The Ontario government is looking to develop a strategy to promote economic growth in the forestry sector. The Ministry of Natural Resources and Forestry will be holding a series of roundtable discussions across the province in preparation. Those sessions will be held in Sault Ste. Marie, Kitchener, Kenora, Kapuskasing, North Bay, Thunder Bay, Pembroke and Timmins, starting in November. 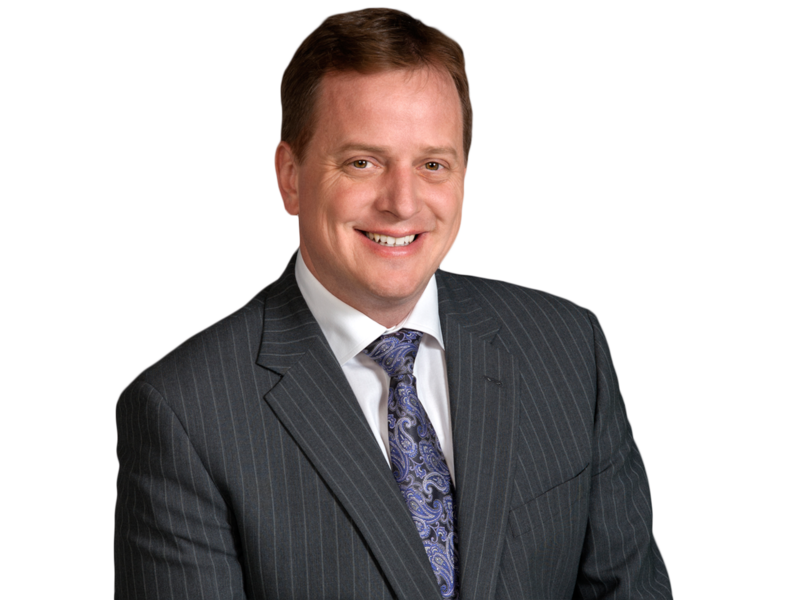 “We want to ensure the forestry sector is going to be driven by a long-term vision for growth and sustainability and so that communities across the province can share in the prosperity,” Minister Jeff Yurek told CBC News. 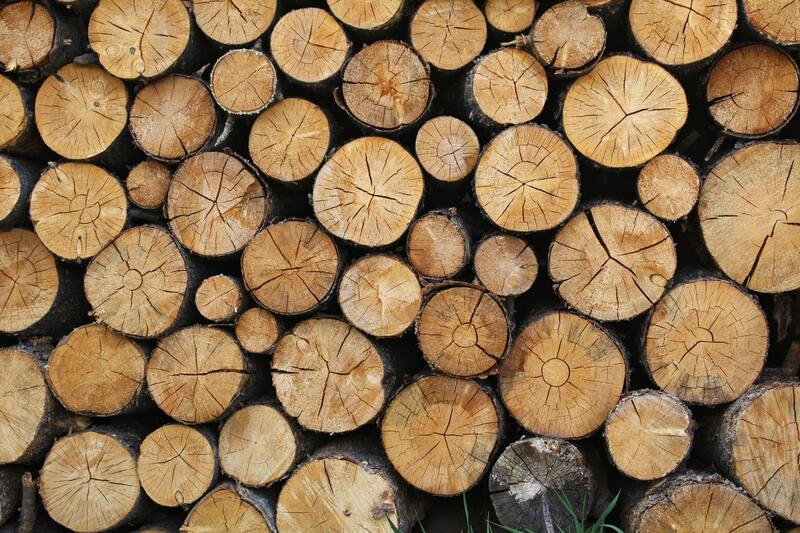 …One issue expected to come up at the round tables is access to the province’s wood supply. Less than half a per cent of Ontario forests are harvested by the industry, according to Chris Heideman, the vice president of Lavern Heideman & Sons, a sawmill based in eastern Ontario. SUDBURY, ON – To mark National Forest Week, representatives of Domtar Inc., EACOM Timber Corporation and Forests Ontario gathered in Northeastern Ontario to unveil a new billboard as the most recent development in the province-wide It Takes A Forest initiative. …The It Takes A Forest initiative is a collaborative effort of over 40 organizations, designed to increase public awareness of Ontario’s forests through the dissemination of fact-based information. …”Our team at EACOM is proud to help showcase how responsible forestry practices not only ensure that this renewable resource is maintained into the future, but also work to protect wildlife habitat and social values,” explained Jennifer Tallman, R.P.F., Chief Forester, Ontario at EACOM. Fire Ecologists Say More Fires Should Be Left To Burn. So Why Aren’t They? When a wildfire starts, whether by lightning or human hand, it is almost always smothered. Firefighters and aircraft are dispatched at the first sign of smoke. …The public and media extol their efforts. The headline reads, “Brave firefighters tame destructive fire.” …The problem, Malcolm North, a fire ecologist with the U.S. Forest Service and the University of California, Davis says, is that approach to wildfire is not just short-sighted, it’s dangerous. Overgrown forests, the result of a century of aggressive firefighting, are one of the biggest contributors to the types of massive, catastrophic fires that are becoming more common in much of the west. A lesson we learn over, and over, and over. About 60 Sitkan packed into a conference room… for a scoping meeting on the state’s petition to open more of the Tongass National Forest to roadbuilding. Like a similar meeting held last week in Ketchikan, much of the input from the audience was focused not so much on the merits of roadless policy, but on the process itself. Ken Tu is the interdisciplinary team leader for Alaska Roadless Rule-Making, with the US Forest Service. …The Roadless Rule was signed into law by President Bill Clinton just a few days before he left office in 2001. It made road-building off-limits in all areas of the US National Forests where roads were not already in existence. Alaska immediately filed suit, and it’s remained in litigation for the last 17 years. Calling environmental litigants “extremist” for challenging logging projects in Montana, Rep. Greg Gianforte chaired a hearing Thursday in a U.S. House subcommittee seeking suggestions on ways to modify the Equal Access to Justice Act. The act was passed by Congress in 1980 “to allow parties that prevail in cases against federal agencies to seek reimbursement from the federal government for attorney fees.” …In the Subcommittee, Gianforte accused environmental groups of stifling “responsible use of natural resources” and said “wealthy environmental organizations” were taking advantage of the law’s loopholes, amounting to an “abuse” of taxpayer dollars. …Sara Colangelo, a visiting professor of law at Georgetown University Law Center, urged the congressman to seek more information… to provide the public a clearer picture of what is actually going on, she said. President George W. Bush called it a holocaust. Wildfire experts called it a canary in the coal mine. …“We’d never seen a fire behave like that — a fire that could eat square miles overnight and create its own weather patterns,” said Brad Peterson, a longtime wilderness ranger for Willamette National Forest. …Fifteen years ago this September, a wildfire known as the B&B Complex ripped across the forest between Mount Jefferson and Mount Washington. …”It was a wake-up call,” Oregon State University forestry professor John Bailey said, “that ‘ah-ha’ moment, showing us that past management policies and climate change would make these types of fires more common. …Peterson said he remembered the moment, particularly how that massive plume created its own weather pattern. …In the wake of B&B, Peterson said, fire managers realized the legacy of wildfire suppression and the potential danger it could bring. After a summer wildfire season that blanketed much of the West in smoke, U.S. Sen. Jeff Merkley introduced a bill Wednesday that would reduce the severity of wildfire by thinning forests that are crowded with too many trees and have become fuel for megafires. The bill would create a $1 billion fund to allow the Forest Service to increase the pace and scale of wildfire reduction projects, empower federal agencies to work with local communities to plan and prepare for wildfires, and permanently reauthorize a collaborative forest restoration program that brings stakeholders together to thin forests. …He hopes the Senate will take up the bill after the November elections. Last year, 71,500 wildfires burned 10 million acres nationwide, the second-largest figure on record. A Pike County-based Timber company had its assets seized and faces civil charges of racketeering after Georgia Forestry Commission officials say the defendants allegedly misrepresented both the type and amount of timber harvested so they could pay landowners a reduced price for the timber. At least 17 of the landowners were elderly. Six co-conspirators are also part of the lawsuit. The timber company, Cox Land & Timber is based in Pike County, but the allegations of illegal conduct span at least 16 counties …According to prosecutors, one elderly man was quoted between $15,000 and $30,000 for his timber [but] only received $6,686.82. An investigation found the defendants harvested about 655 tons more timber than they’d declared on a settlement sheet provided to the man. …The defendants also are alleged to have defrauded a Macon sawmill, by misrepresenting the ownership or origin of timber so they’d get a larger payment from the mill. Not to spoil the mood, but a green shoot threatens to poke through the funk lately enveloping Brazil. …For the last several years, deforestation in the Amazon, a calamity at which Brazil unfortunately has always excelled, has plummeted. And with it, so have emissions of climate-cooking carbon gases loosed by forest clearing and slash-and-burn agriculture. So much so, that Brazil is already well ahead of its 2020 target for reducing greenhouse gases, as agreed at the U.N. Climate Change Conference in Copenhagen, in 2009. Yet you’d be none the wiser after listening in on the political bluster that is roiling the country ahead of the October 7 national elections. 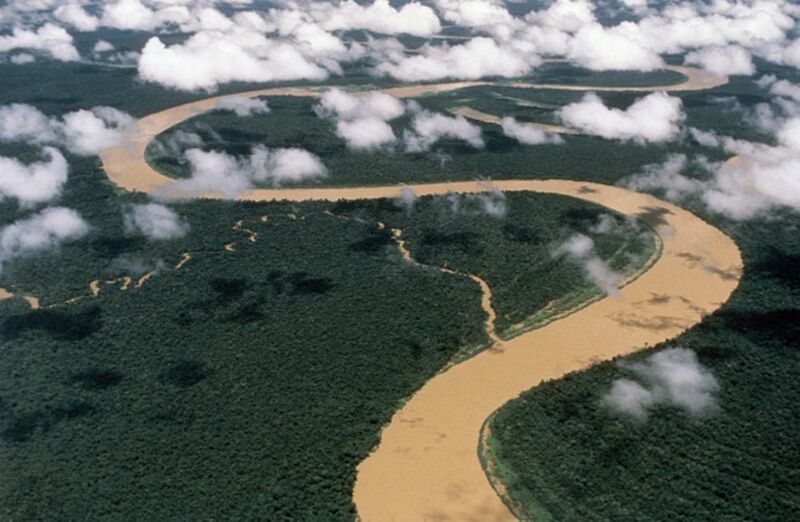 …That blind spot troubles scientists and defenders of the world’s largest rainforest, who fear not only a return to wanton clear-cutting but a missed opportunity. Vancouver, BC — Forest Products Association of Canada (FPAC) has strengthened a long-standing partnership with the Canadian Council for Aboriginal Business (CCAB) and Indigenous-led businesses across Canada by becoming an Aboriginal Procurement Champion. Becoming an Aboriginal Procurement Champion solidifies FPAC’s commitment to procure more from Aboriginal businesses within their own supply chains as well as those of our prime suppliers. Certified Aboriginal businesses that would qualify under this program include those that are 51 per cent or more Indigenous-owned and controlled. Conifex, the forestry company headquartered in British Columbia, has been fined over $191,000 for a worker injury and safety violation at its Fort St. James sawmill site. According to WorkSafeBC, the BC worker’s compensation board, a worker at the sawmill was using a forklift to transfer rough-cut lumber from a pile to a planer. The lumber was unwrapped and stacked three loads high. The worker exited the forklift between loads to remove dunnage from the top of the next load. The load collapsed and fell forward, pinning and injuring the worker.